Garden Courts is located in Champaign-Urbana just minutes from the University of Illinois campus. This unique multi-family community offers exceptional quality housing at an affordable rent. The many flower-filled gardens reflect the pride we take in our privately-owned, and personally-managed apartments. Every detail has the personal attention of the owners whose goal is that our residents may move in as strangers, but leave us as friends. 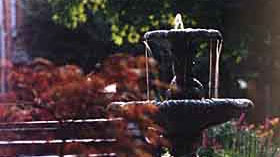 In addition to our apartment building, Garden Courts also owns and maintains four rental homes in Champaign, IL. Each of the properties carries our high level of care and maintenance that you will find in our apartment rentals. View our currently available Champaign rental homes.